Colorful princesses wearing crowns, dresses, etc. on a polka dot background. 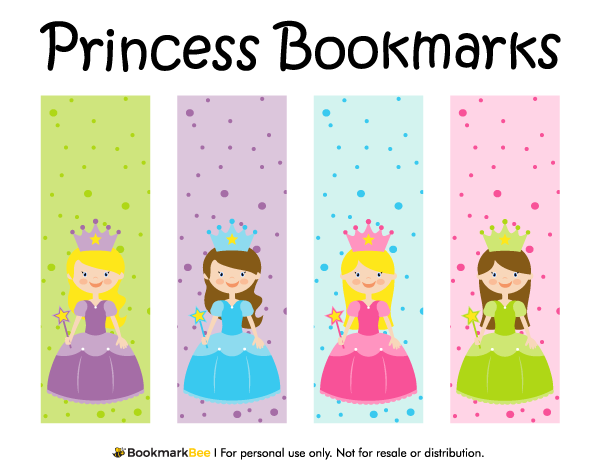 Each bookmark features a different color scheme. Download a free version of this bookmark below. Note that the free version includes a watermark on each bookmark, but we do offer a bundle of all bookmarks without the watermark.